More pages is required. I didn`t get the book in any other portal. Thanks to the portal. Is there any other book by the same author. The book is very good. Thanks to the author. Would like to read more such books. Book is good. Just 60/-. Any one can easily get it and read. 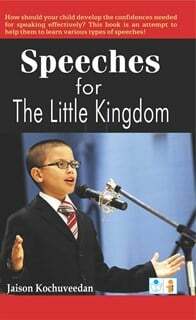 Students will learn well how to give speeches. The book is interesting to read. Only 60/-. Good to read whenever there is free time. Nice to read.